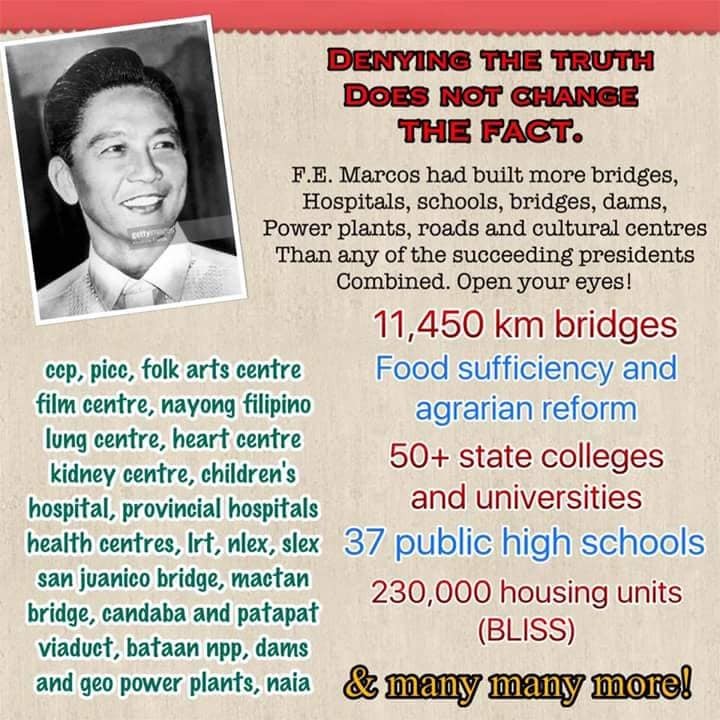 Ever since the issue of allowing former President Ferdinand Marcos be buried in the Libingan ng mga Bayani (LNMB), many Marcos apologists have come to the aid to clear out his name and convince other people that despite what happened during his presidency, he remains to be one of the best presidents to bring development in the Philippines. Netizen named Cathy Salcedo was one of the people who continually jump to the defense of President Marcos and recently, she has once again post on social media site Facebook to air out her thoughts. Salcedo laid out a series of data which she collected to prove many accusations of Marcos wrong. According to her data, there was 13.5 billion US$ worth of foreign debt that Marcos inherited when he became president in 1965. When he was ousted and shipped to Hawaii, his successor former President Corazon “Cory” Aquino inherited over 24 billion US$. The defense coming from Salcedo is that 7 billion US$ of the debt comes from the private sectors and that Marcos left 2.5 billion US$ in the central bank reserve. This means, according to Salcedo, that in the 20 years that Marcos was in position as president, he only incurred about 1 billion US$ worth of debt. Also included in the data that Salcedo presented was that Marcos only spent $486 billion in his 20 years in power, while Aquino allegedly spent $1.7 trillion. Not only that, but Salcedo also presented a survey in 2003 saying that 41% of a group of Filipinos believe that Marcos contributed the most to the country. 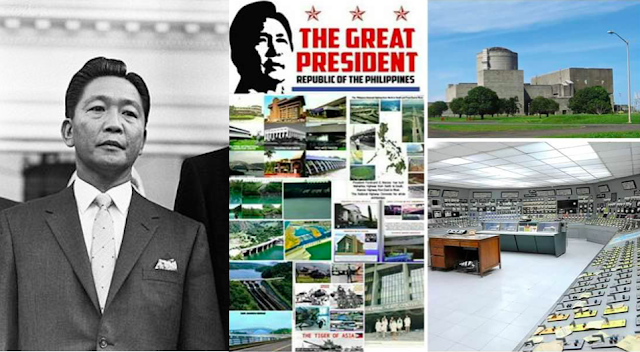 "When Pres.Ferdinand Marcos took over the Government in 1965, the Philippines had the foreign debt of 13.5 billion US$. In 1986 when the Americans forcibly brought Pres.Marcos to Hawaii ,Cory Aquino inherited the foreign debt of 24 billion US$ ,but of these 7 billion US$ was incurred by the private sectors.At His ouster Pres. 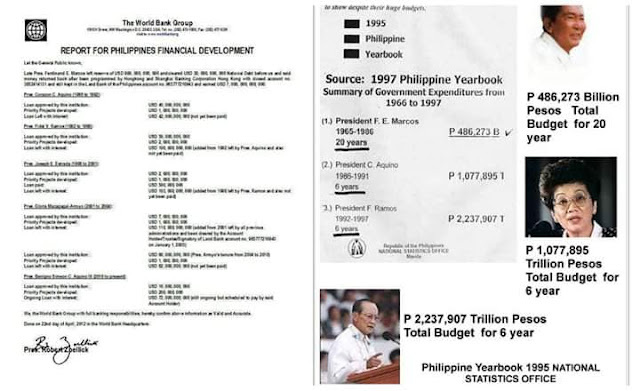 Marcos left 2.5 billion US$ in the Central Bank reserve.This means that Pres.Marcos during his 20 years of rule only incurred of a measly 1 billion US$ foreign debt to build up this Nation with its fast growing Populations and Numerous Infrastructures Projects all over the Country that today stands UNEQUALLED to all succeeding Presidents. How did Pres.Marcos manage this Government financially? the anual national budget of 35 billion by the National treasury?